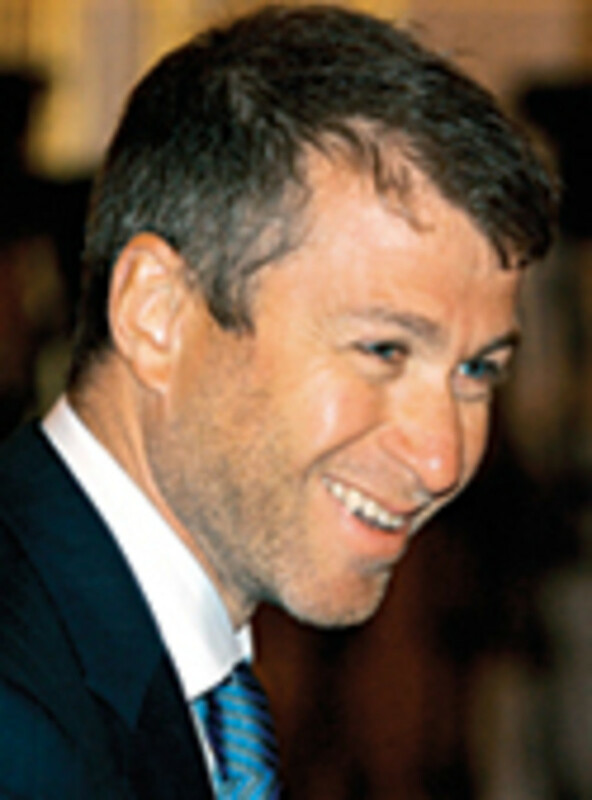 Roman Abramovich, whose worth is estimated by Forbes magazine at $18.7 billion. 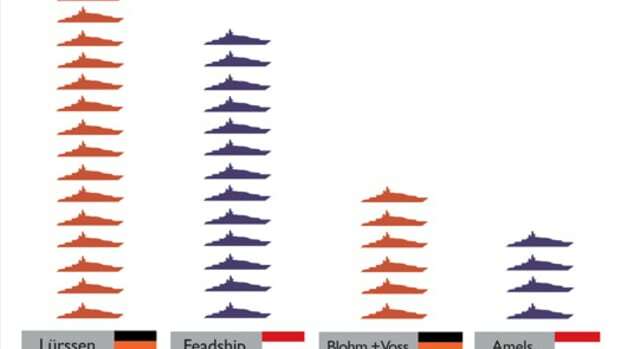 Heard the old saw about the sailor who has a girl at every port? 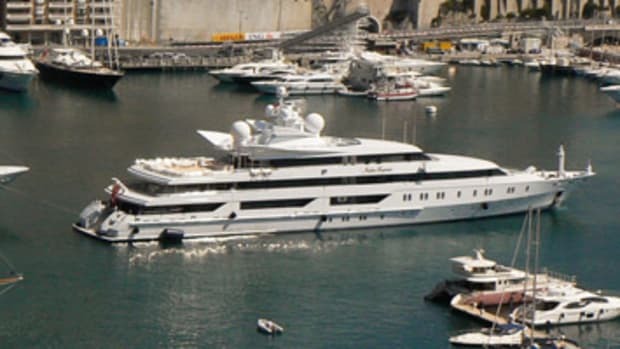 Russian industrialist magnate Roman Abramovich is well on his way to having a different megayacht stationed in each of the world&apos;s most exclusive ports of call. 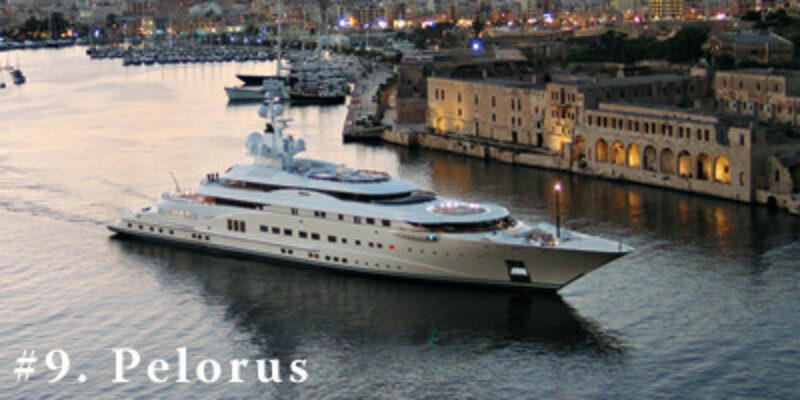 Abramovich owns two vessels on the Power & Motoryacht 100: the 377&apos;3" Pelorus and the 282&apos;0" Ecstasea. 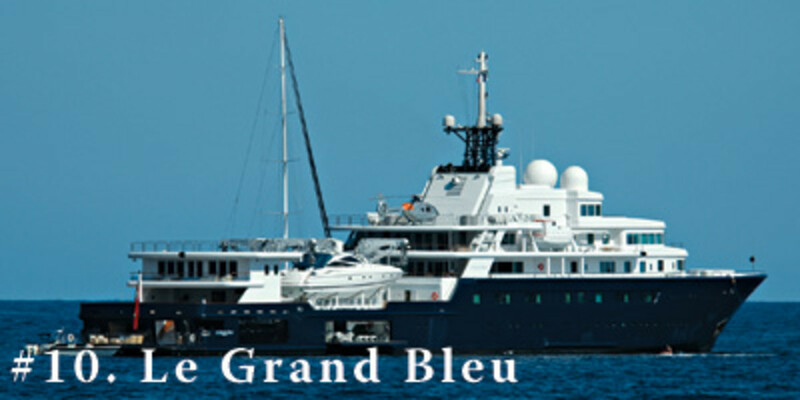 Rumor has it he gave a previous yacht, the 370&apos;0" Le Grand Bleu, to a friend. 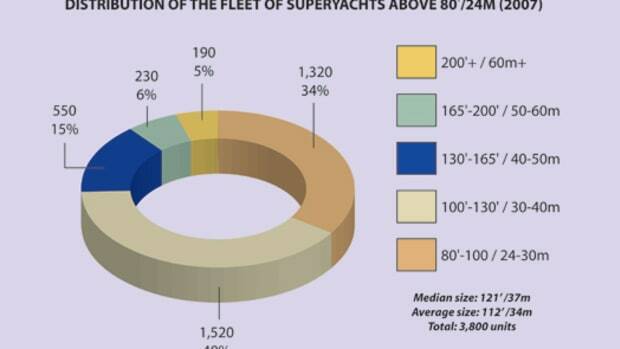 But Abramovich, whose worth is estimated by Forbes magazine at $18.7 billion, may be losing a member of his fleet. 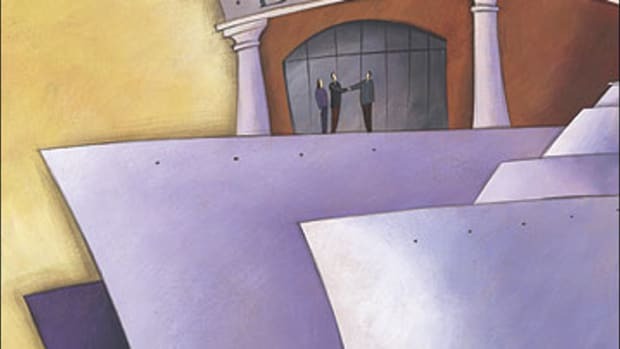 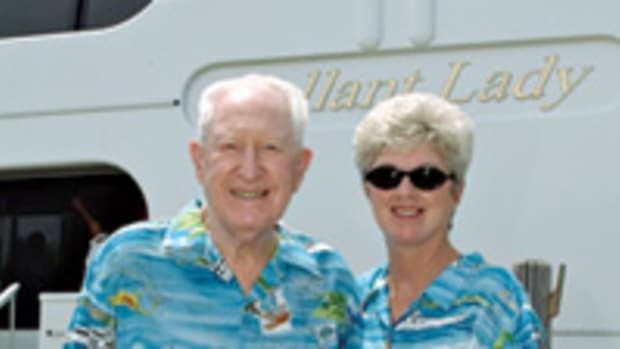 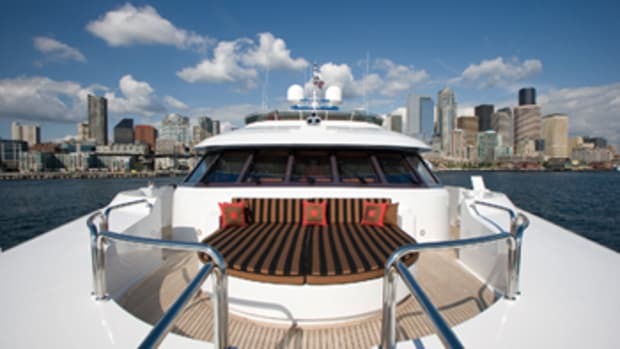 As reported last spring on the Power & Motoryacht Editors Blog by executive editor Diane M. Byrne (Roman Abramovich: Yachtless? 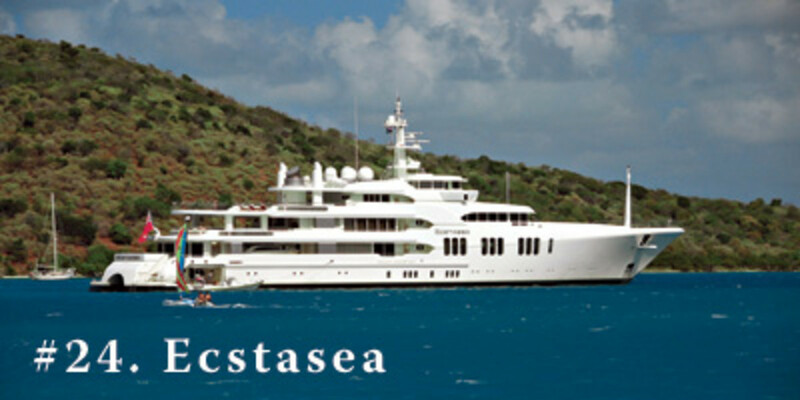 ), rumors abound of a divorce settlement that may result in Abramovich owning one fewer boat when the dust settles. 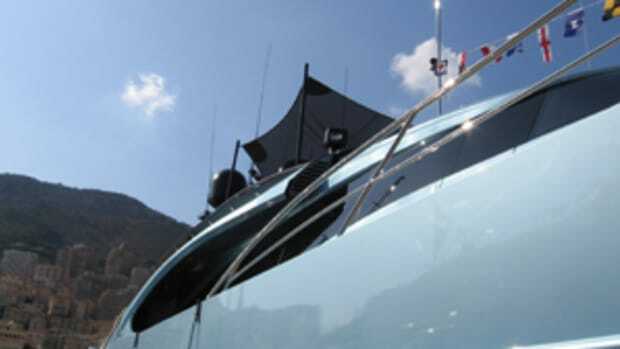 Byrne reminded us not to pity him: He&apos;s said to also own a vessel codenamed Eclipse, which is under construction at German yard Blohm + Voss and is in the 500-foot range. 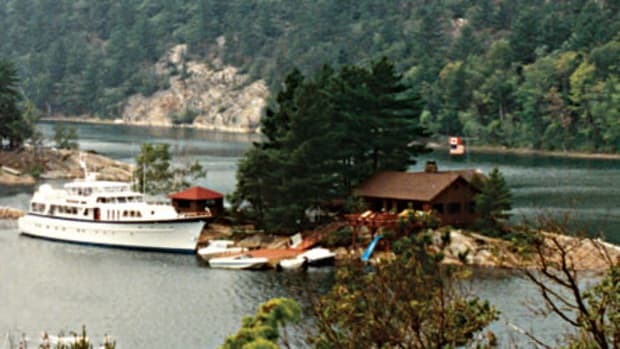 "I Want to Tour a Megayacht!"